Dealing with end-of-life hardware can be a burden for IT consultants, but managing recycling and trade-ins for clients provides a business opportunity, as well as a chance to help the environment. This is beneficial to the environment because this would decrease the amount of E-waste currently being dumped in landfill areas. It would also be beneficial on your part as recycling centers would pay you a particular amount for the computer hardware that you bring for recycling. Maxicom Global will handle the reverse logistics of properly disposing your used equipment in an environmentally sensitive way. We will pick up your systems at your designated location, cleanse the systems of all data and audit your equipment to determine the value. We then help you resell it to a third party. Equipment that has no residual value is recycled. For non-functional and non-marketable IT assets we de-manufacture your IT equipment into component parts and recyclable content. De-manufacturing ensures the maximum re-use and recycling of components and harvestable commodities and assists to mitigate the downstream costs of disposal. A disaster recovery plan (DRP) - sometimes referred to as a business continuity plan (BCP) or business process contingency plan (BPCP) - describes how an organization is to deal with potential disasters. In addition to a server or storage recycling, we provide certified data erasure of recalled products in the most environmentally friendly way. Each of our e-waste recycling centers recovers hazardous substances found in servers and storage such as cadmium or lead for environmentally friendly treatment and/or disposal. IT asset recovery proposition is all about giving you a choice of disposal options, helping you to meet your asset retirement and environmental objectives whilst delivering maximum value to your business from the redeployment of surplus or end of life technology assets such as PCs, laptops, networking equipment and computer peripherals. Maxicom Global wants to buy your used or pre-owned IT equipment. We have the staff with the expertise to accurately give a competitive price for your IT hardware. The condition of your item, as in its operability and physical appearance will determine the item's worth, as well as the demand and age of the product. We buy enterprise level IT equipment. 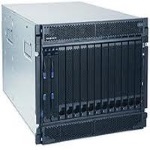 We buy excess new or used IT Hardware, Servers, Workstations, Parts, Peripherals, Storage Arrays, Networking and more.